Custom Stained Glass art, including stained glass windows, leaded glass, and stained glass mosaics, as well as installation of ceramic tile and stone tile. Located in Homer, Alaska. 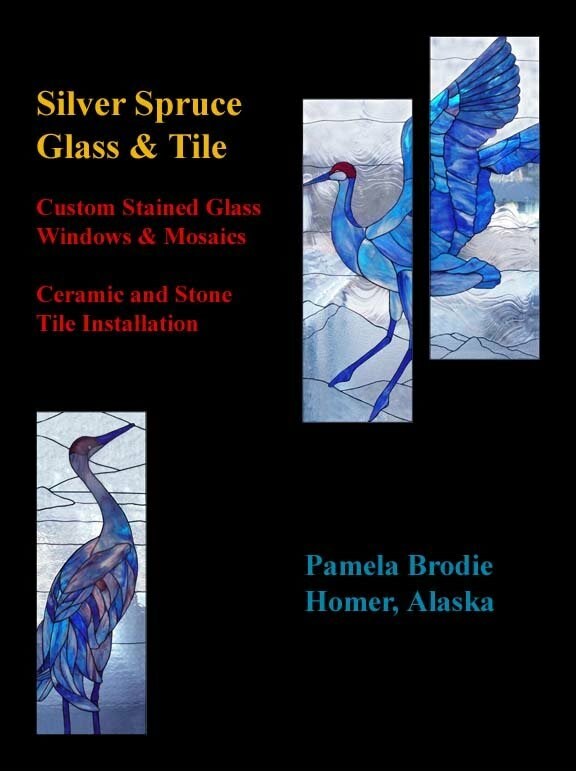 Contact Pamela Brodie at Silver Spruce Glass & Tile.